fat or controls your body weight. to yourself and are likely to gain many new friends. and find a sport to suit you. Improved cardiovascular health.The heart is a muscle, it needs to be worked out! Regular exercise can help improve the overall health of your entire cardiovascular system. Lowers risk of heart disease, stroke, and diabetes. A healthier heart means reduced risk of cardiovascular disease, stroke, and diabetes. Helps manage weight. Not only does physical activity burn calories, it also improves your metabolism in the long run. Reduced blood pressure. Physical activity keeps your heart and blood vessels healthy, helping to prevent hypertension. 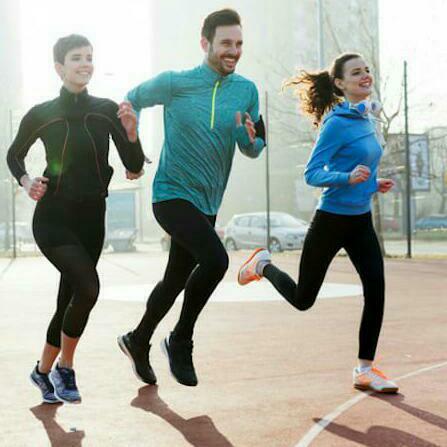 Enhanced aerobic fitness.Participating in aerobic activities — such as running, cycling, or swimming — can improve your body’s ability to transport and utilize oxygen in the lungs and blood. Improved muscular strength and endurance. Resistance exercises challenge your muscular system, resulting in bigger, stronger muscles. Improved joint flexibility and range of motion. Improved flexibility reduces risk of injury. Stress relief. Exercise is a great mood-booster and has proven to be an effective method of stress relief. Lowers risk of certain types of cancer. People who exercise regularly are less likely to develop breast, colon, and lung cancer. Control cholesterol. Exercise decreases LDL (bad cholesterol) levels and increases HDL (good cholesterol) levels. Ward off osteoporosis. Building dense, strong bones is another benefit of physical activity. Strengthens immune system.Exercising more = getting sick less. Improved sleep. We know just how important sleep is, and exercising can help you capitalize on these benefits. Mental health benefits. Exercise is good for your mental health too, as it can battle feelings of anxiety and depression, sharpen your focus, and improve self esteem. Prolonged life. When you add all of these benefits together, what do you get? A longer, healthier, more enjoyable life!